iOS8 has a big UI/UX failure. 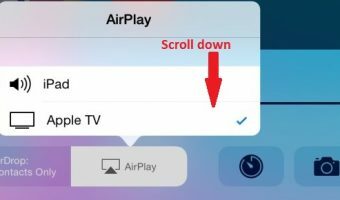 Airplay mirroring was not visible due to bad UI design. Finally an Apple with Indian flavors, yummy! Apple released a new version of their OS for iPads, iOS 4.2.1, on November 22, 2010. I had heard from others iOS 4.2.1 was going to support few Indian languages.